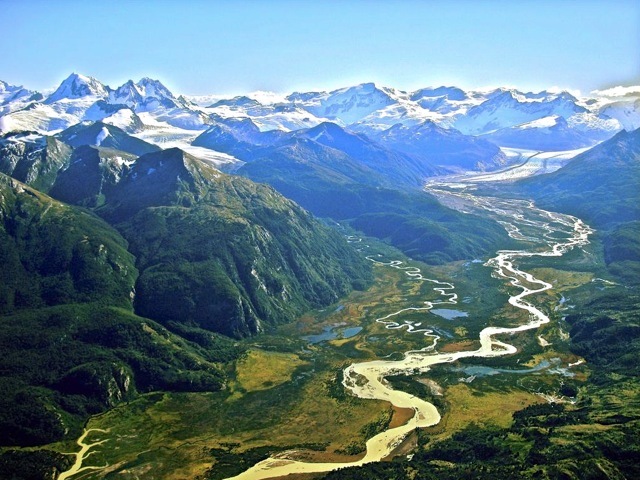 DECEMBER 12, 2013— In Tierra del Fuego—the southernmost extreme of the Americas—Chile will gain a spectacular new national park through landmark public-private collaboration between President Sebastian Piñera and Fundación Yendegaia, a branch of Douglas and Kristine Tompkins’ conservation projects. Fundación Yendegaia will donate the former Estancia Yendegaia (94,000 acres) toward the creation of the new national park, while the Chilean government will annex 276,000 acres of adjacent government land, to be upgraded to national park status. The new park will be among Chile’s largest, only slightly smaller than the iconic and nearby Torres del Paine National Park. 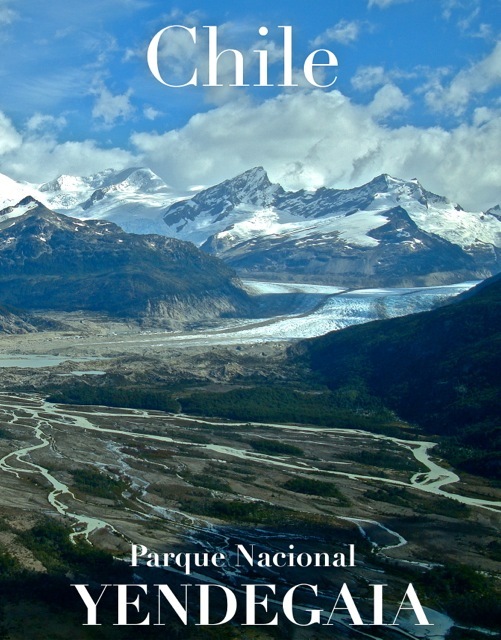 Protecting 370,000 acres of mountains, glaciers, rare sub-Antarctic forest, lakes, and rivers, the park stretches from the Darwin Range to the Argentine border, and from the Beagle Channel to Fagnago Lake. 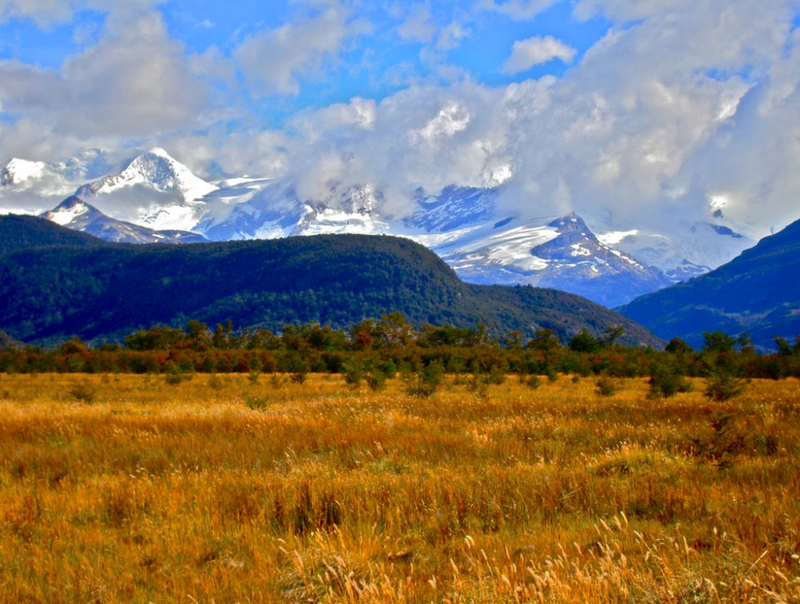 Yendegaia creates a contiguous biological corridor between Chile’s Alberto D’Agostini National Park and Argentina’s Tierra del Fuego National Park. The new park protects the last frontier of pristine sub-Antarctic beech forest, one of Earth’s largest remnant of Gondwana, the last supercontinent from 180 million years ago. Long declared a “Priority Site for Conservation,” the area provides key habitat for three species in danger of extinction (red fox, river otter, and ruddy-headed geese), and a broad range of native flora and fauna, included 128 vascular plant species and 49 bird species. The name “Yendegaia” means “Deep Bay” in the indigenous Yámana language, from the property’s protected bay on the Beagle Channel. 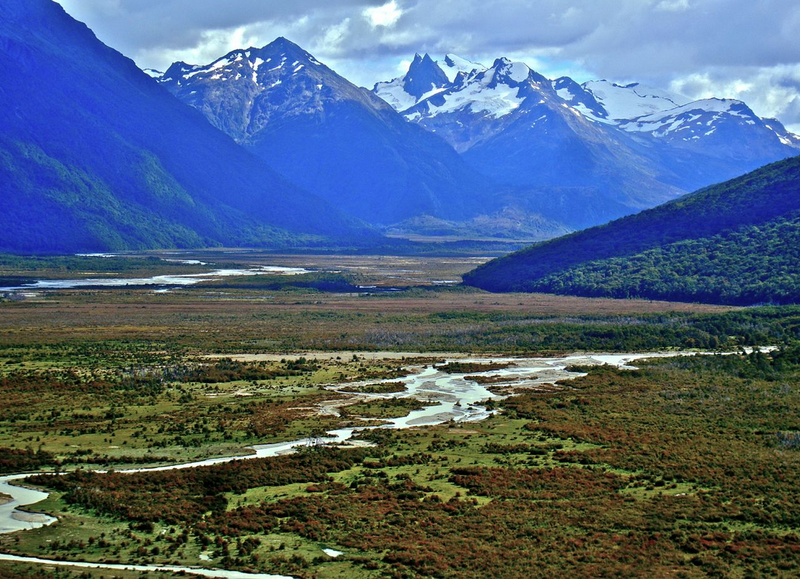 To allow visitors to access this wild and largely pristine wilderness, Chile will develop public access, including trails and refugios, from the access points via Route Y-85 to the north. Yendegaia National Park can also be reached via boat from Puerto Williams, the southernmost town in the world. The birth story of the Yendagaia National Park begins with Alan Watson Featherstone—Scottish activist, forest advocate and Executive Director of Trees for Life, a leading organization recognized and awarded for their work in restoration and recovery of the Caledonian Forest—visiting the area south of Tierra del Fuego in late 1996. In 1998 he contacted Kris and Doug Tompkins to present a project proposal and opportunity to acquire the property, then a semi-abandoned cattle ranch. The same year Watson Featherstone, together with Argentinean conservationist from Ushuaia, Graciela Ramaciotti, and leading Chilean botanist, Adriana Hoffman, urged the Tompkins to visit the property, who immediately recognized its conservation importance. After several months of evaluation, The Conservation Land Trust, a foundation led by Doug Tompkins, along with fellow conservationists Peter Buckley and Ernst Beyeler, provided the funds to acquire Estancia Yendegaia. The property was subsequently transferred to Fundación Yendegaia, a Chilean foundation. 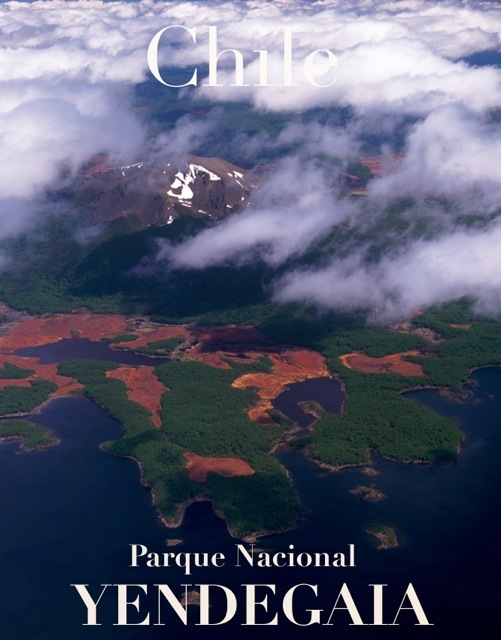 In March 2011, Douglas and Kristine Tompkins approached Chilean president Sebastian Piñera with a proposal to collaborate in strengthening the National System of Protected Areas (SNASPE). The concept was to create several new national parks and expand others through donating private conservation land and upgrading certain National Reserves to National Park status. National Park status honors the national patrimony and represents the ultimate goal for conservation properties. National parks offer the most secure guarantee of institutionalized protection, the most historic method of building national pride in conservation, and the strongest strategy for developing ecotourism and conservation-related development that bolsters local economies. During 2011 and 2012, an ad hoc committee, spearheaded by Piñera and including representatives from the ministries of Environmental, Natural Resources, Economics, Tourism and the Forest Services, analyzed the proposal. Early in 2013, the committee decided to prioritize the creation of Yendegaia National Park, due to its ecological attributes and excellent potential for ecotourism development. 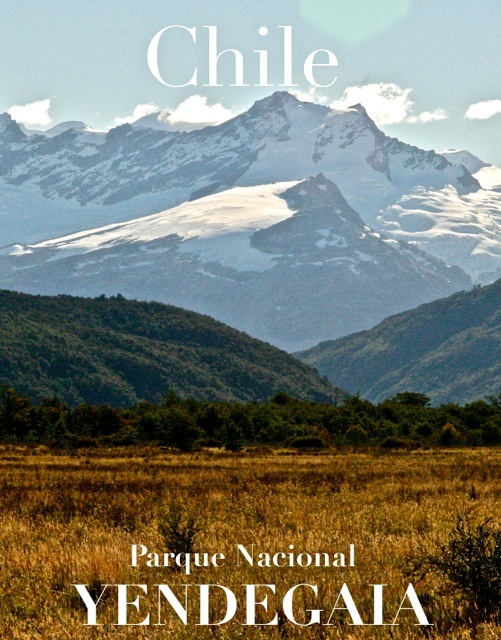 After extensive mapping and surveying work and consultations with nearby indigenous communities, the Chilean government, led by Minister of the Environment Maria Ignacia Benitez, signed the new park into law on November 29, 2013. On December 11, 2013, Piñera announced the news publicly. 11 Responses to YENDEGAIA National Park Created! Is there already an estimate when the park will be opened to the public? Je ne suis pas sure que ce soit la meilleure préservation du site. Entièrement sauvages, ces lieux d ‘une grande exception pour la planète vont être dénaturés par les masses touristiques et les infrastructures qui vont suivre! Hi Mr. Douglas Tompkins, my name is Denisse del Campo, Chilena, I´m a horse rider and snowboarder, I live in Santiago city. Yesterday I received an email from ANDRES COX BAEZA. I think you are a good man, saving nature for the future, so this dosen´y sounds good, I would love to know what you have to say about this letter. Hace 8 meses estoy en una lucha muy fuerte y difícil en Chile, en particular para defender la sobrevivencia de la reserva de caballos en libertad más grande del mundo, ubicada en la Cordillera de Darwin, en el fin del mundo en Tierra del Fuego, específicamente en Cabo de Hornos, sector canal de Beagle. El señor Douglas Tompkins donó en esa zona una antigua estancia ganadera productiva de 35.000 hectáreas denominada Yenedegaia, a cambio de que el Estado de Chile done 111.000 hectáreas de un magnífico Parque Nacional (D’Agostino), el más interesante y bello parque existente en nuestro país. El 4 de Enero de este año, el Presidente Piñera viajó a la zona a recibir esta estancia de manos de Douglas Tompkins. El 17 de enero salió el decreto oficial de la Contraloría General de la República aceptando oficialmente la donación de este predio y en los primeros días de febrero aparecen en el predio un gran grupo de cazadores muy bien armados exhibiendo un contrato de la FUNDACION de TOMPKINS, firmado 8 meses antes de esta donación y por la Gerente General de la Fundación Sra. Morgado, AUTORIZANDO POR 4 AÑOS LA CACERIA Y EXTERMINIO DE TODOS ESTOS CABALLOS que habitan esa zona en estado salvaje por más de 100 años. Dicho contrato de cacería fue parte integrante del documento de donación con el gobierno, es decir, el Estado de Chile tomó conocimiento de este grave hecho de exterminio que sería ejecutado en dicho predio. Amigos … necesito hacer fuerza y para ello su ayuda!!! algo simple y que cada caballo que se salve se lo agradecerá …. cada uno de ustedes deben ver por televisión este primer reportaje en el espacio de las noticias del canal CHILE VISION (CHV) este próximo jueves 3 de Julio y además, necesito que hagan un pequeño esfuerzo en invitar al menos a una o dos personas más (o muchas más) de sus grupos familiares y amigos para que vean esta noticia (haciendo correr este correo por favor) y así logrando una gran cobertura colaboraran con el plan futuro de salvataje que se dará en forma firme y concreta, lo que sucederá en forma posterior a este reportaje …. , se necesita colaboradores, defensores y formar conciencia de este increíble crimen por el cual estoy peleando ya un largo tiempo. Si el jueves se produjera un evento que pudiera opacar la importancia de esta noticia y nuestro reportaje, se cambiaría para el martes próximo siempre en el sector noticias del canal Chilevisión. Por favor inviten a otras personas a presenciar el reportaje e informen de esto en todas las redes sociales. Un abrazo a todos y mil gracias. Thank you so much for your concern, and for reaching out to us! These rumors are incorrect and contributing to a lot of misinformation. We are responding to them as quickly as we can. In short, we would never and have never promoted, authorized or financed the slaughter of wild horses at Yendegaia. We will post it English promptly. Thank you again for communicating with us about these awful rumors. we will spend some three weeks in Tierra del Fuego and also want to explore the area of Yendegaya Park a little bit. May I ask you what is the normal access to the area (coming from Porvenir) and whether it is possible now to cross the border to Argentina to the National Park of Tierra del Fuego or maybe towards the Fagnano Lake? Is there any boat service from Puerto Williams? Are there any reliable maps of the area available? I work as journalist and will be happy to publish a travel story from this area once back at home. Hello Vitek, I am currently planning a trip to Yendegaia. I will arrive in Punta Arenas, but I’m not sure about the best route to get to this new Chilean National Park. Do you have anything to share? Any tips/recommendations/itinerary will be highly appreciated. I am an undergraduate student at Yerevan State University (YSU), Department of Biology. I was advised to contact you as I want to become a polar explorer. I wish to join your group for 2-3 months (as a volunteer and other) to gain skills and experience. I am actively involved in various scientific expeditions on behalf of Department of Zoology at YSU. I would like to know if there is a scholarship for which I can apply or whether there is funding from other sources. If no how much will the expedition cost so, I could try also to find money from Armenian National Foundations. The main problem with latter is they usually support only travel costs (air tickets, bus etc.). Hi there, I was wondering if there’s been any update on the horse situation down there? It’s impossible to find anything in the news. Thank you!! Can you provide an update on the construction of the Chilean road to this park? From Estancia Vicuna to Bahia Yendegaia? I’d love to take this road! Is it also possible that there will be a port on the Beagle Channel to supplement Usnuaia and Puerto Williams. Thanks. Yendegaia now links two world-class wilderness parks, effectively creating an expansive, transboundary protected area along the Chile–Argentina border.